Product code: 146 Categories: Sold Items, Sold Jewellery. 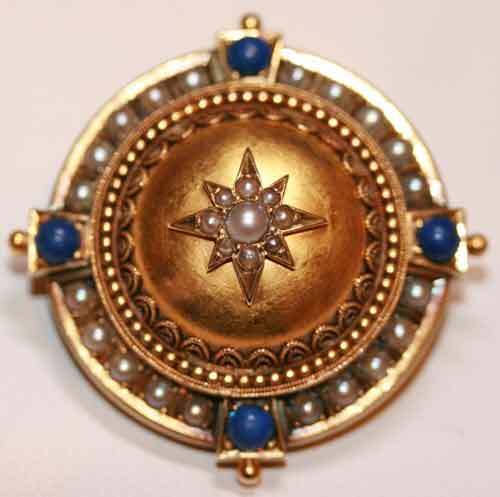 This is a wonderful brooch, made with a locket compartment in the reverse, set with lapis lazuli, and surrounded by natural seed pearls. This is made in 15ct gold, and has the most wonderful patina to it. Made in the 1880’s, this is surely to delight the wearer every time it is worn.